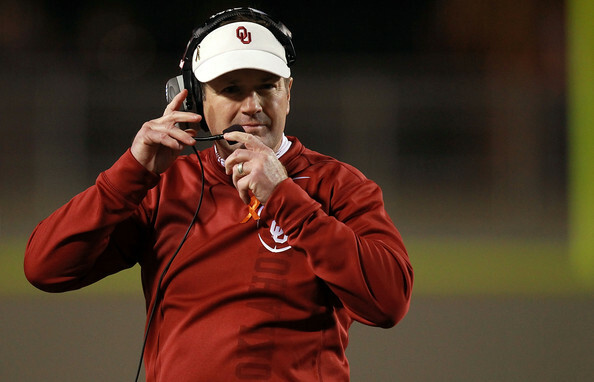 Oklahoma coach Bob Stoops stepped up to the scrum of reporters after Monday’s spring football practice for his first interview in more than three weeks, but his own squad wasn’t the first thing he wanted to talk about. “How about that Sooner basketball team?” Stoops said with a grin. Stoops said he plans on traveling to Houston for the Sooner men’s basketball team’s appearance in the Final Four. OU faces Villanova in a national semifinal at 5:09 p.m. Saturday. The OU football coach had high praise for his men’s basketball counterpart, Lon Kruger.